Armeg 6" Junior Hacksaw Blades x5 - ONLY £3.99 - SAVE £1! Armeg 6" / 15cm Junior Hacksaw and Blade - perfect for cutting a wide-range of materials including plastic and metal. 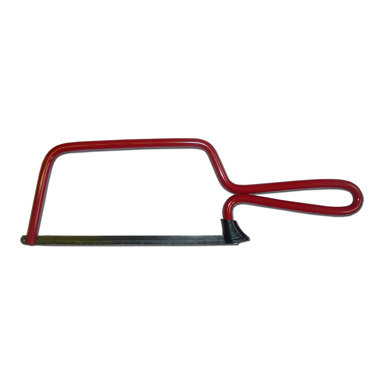 This Armeg junior hacksaw features a rust-proof, powder-coated frame and rubber safety block to stop fingers from getting caught in the blade. 6 inch high carbon steel blade with 32 TPI. Made in the UK.